"PERSONAL THINGS by Vladimir Sitnikov"
There is a lot of pop art going on in Moscow at the moment. The exhibition "Personal Things" was shown in Moscow this year, exposing pop art by one of Russia`s most famous contemporary artists, - Vladimir Sitnikov. Vladimir Sitnikov was born in 1958 in Moscow and started studying art at the V. Motovilov`s Studio at the House of Cinema and the Children Art School of Krasnopresnenskii District of Moscow when he was still in his teens. Later, from 1980 until 1985, Sitnikov studied at the Moscow Polygraphic Institute and at the printing studio of V. M. Orlov, where he worked into the technique of etching and linocut. In the same time period, he did easel painting, graphics and engraving in the Novinskii Studio, in the Cheliuskinskaya House of Creative Workers. The artist has been living and working in Moscow and, to date, has had solo and group exhibitions in Moscow, Hamburg and New York. In "Personal Things", Sitnikov reveals his confession about personal things, demonstrating that something profound and innermost intimate inhabit these private belongings, giving rise to a hybrid space of temple, museum and shop. The exhibition showed photographs of objects which, under no circumstances, had a material value, drawing a clear line between illusionary and real market value. The subject of the exhibition, "Personal Things", is a signature of Vladimir Sitnikov. In his former series "Production Costs", the artist showed classic pop art, exposing mass products. In "Personal Things", Sitnikov demonstrates the nature of familiar and personal products in contrary to mass products. Like Jim Dine, Vladimir Sitnikov incorporated images of everyday objects in his art works, diverging from the coldness and impersonal nature of pop art by making works which fused personal passions and everyday experiences. 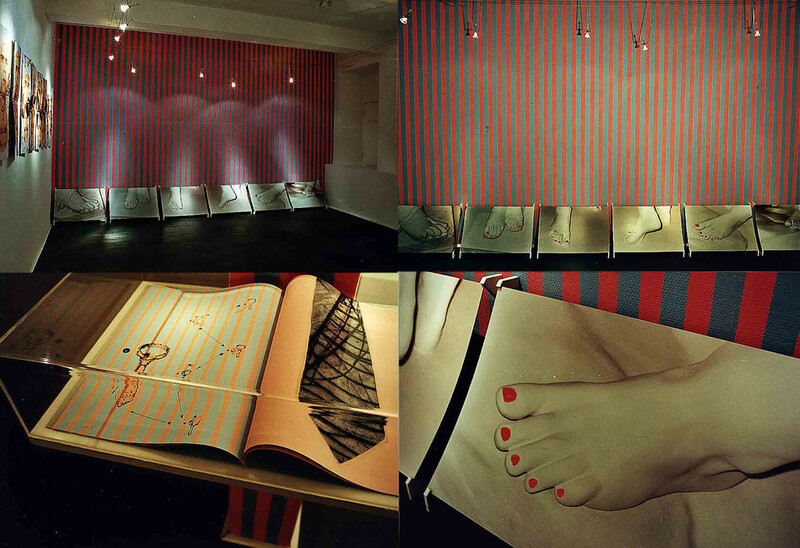 The exhibition space was divided into five separate sections of which each was structured wholly unique. This provided the opportunity to simultaneously observe various stages, in which the photographed images amounted to "things" which justify the individual function and existence of the object. At the end, the exposed images became a mirror, showing heads, torsos and feet, and, all sections together, finally formed a single unity. The provided opportunity to reconstruct Time, Space and Sensation, established the main effect of the exhibition, - vivid presence. Similar to the house of a stranger that contains many unfamiliar, namely the intimate objects of someone else, a stranger, the "personal things" shown in the exhibition slowly evolved a characteristic unity. Cliché-Symbolism marked the series of the artist. 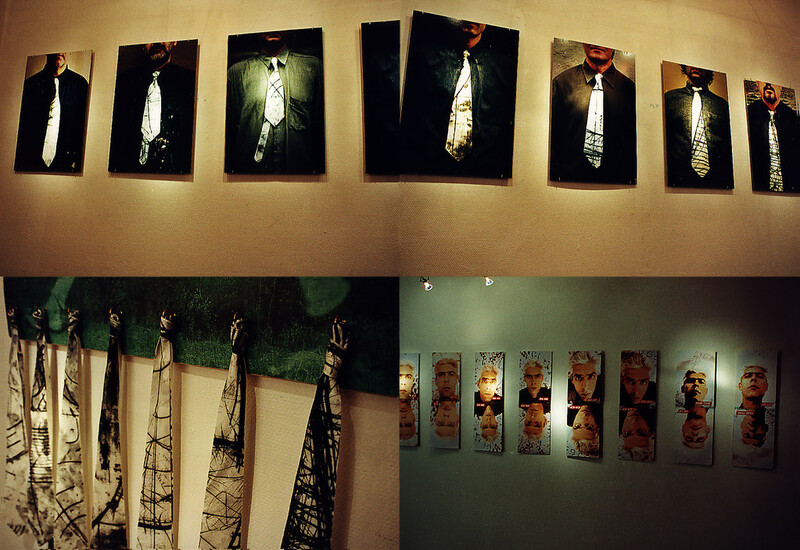 He exposed freely chosen objects and emphasised the abstract aesthetics of cosmetic, fitness and tatoo-shop articles. One constellation was installed as metaphor, showing shops and fashion boutiques as scale of measurement in order to measure the value of own private objects. The motive of time appears in an improvised calendar which showed repeating but yet forgotten popular songs and poems. 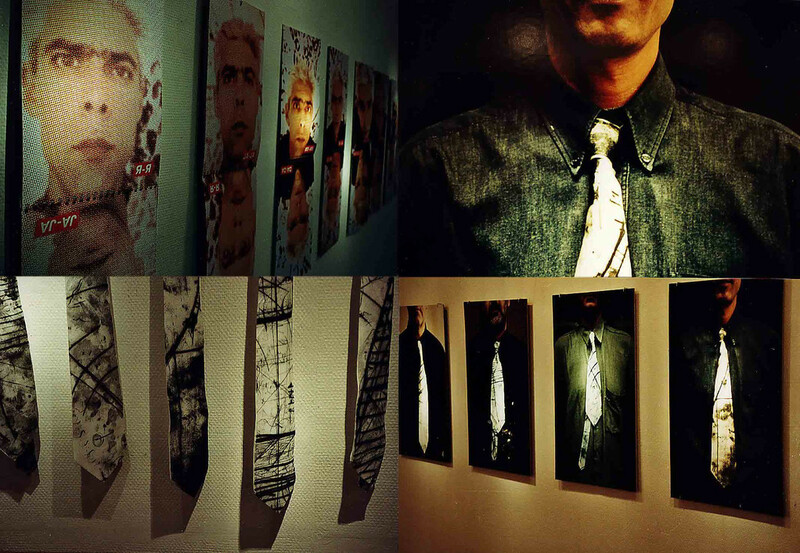 One work was called "Portrait Number". It was to understand that each time a portrait is taken, it will reflect an unconditional and absolute moment, demonstrating a scene of privacy and familiarity and yet, crucially, at the same time the portrait revealed the link with calculations of everyday life by marking conventional familiar belongings, which in fact are under no circumstances public belongings, with everyday and commonly used numbers. Classical pop art images were shown and quickly reminded of famous American pop art works like "Brillo" by Andy Warhol. Thus, visible to those for whom Absolute is Krasota, these particular objects that have left the frame of pure establishment have risen to art. The artist`s famous Ties were linked to a handbook. Sitnikov has made the lines of the author visual: "I want that you look good!"